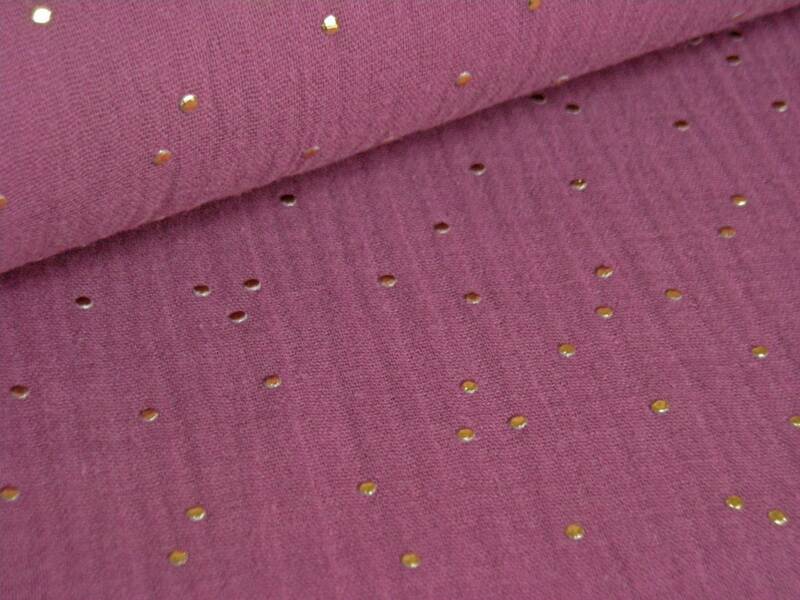 Very beautiful cotton mousselin fabric in dark old pink/mauve Hue printed with golden Dots/golden Nuggets. The Moussel Instoff is colored through, the golden Dots are printed one-sided. Airy light Double Gauze in pure cotton in fashionable crinkle (Knitter) look. Perfect, lightweight Fabric for summer Clothing E.g. dresses, tops, Shirts, Blouses, Shorts, Wipes. With the golden Dots, this Mussselinstoff Is also wonderfully suitable for decorative purposes, such as Gardine, Curtain, Pillowcase or the like. Also available in dark grey, boureaux and mint.